Inspired by a color is kind of a tricky prompt. Like, cmon, what does that even really mean? Last year I took it to mean "be inspired by the name of a polish color" and I stuck with that same interpretation this year. I was inspired by the color Kalahari Kiss by China Glaze. The base here is obviously China Glaze Kalahari Kiss. The kisses were freehanded on using OPI Schnapps Out of It, Zoya Cola, theBalm Orange You Glad You're Not Blue, China Glaze Desert Sun, and Sally Hansen Insta Dri Rapid Red. I've said it before and I'll probably say it a million times more -- I love full nail patterns. I think they just look so graphic and beautiful! You can see last year's inspired by a color manicure here, and check out the challenge prompts here. 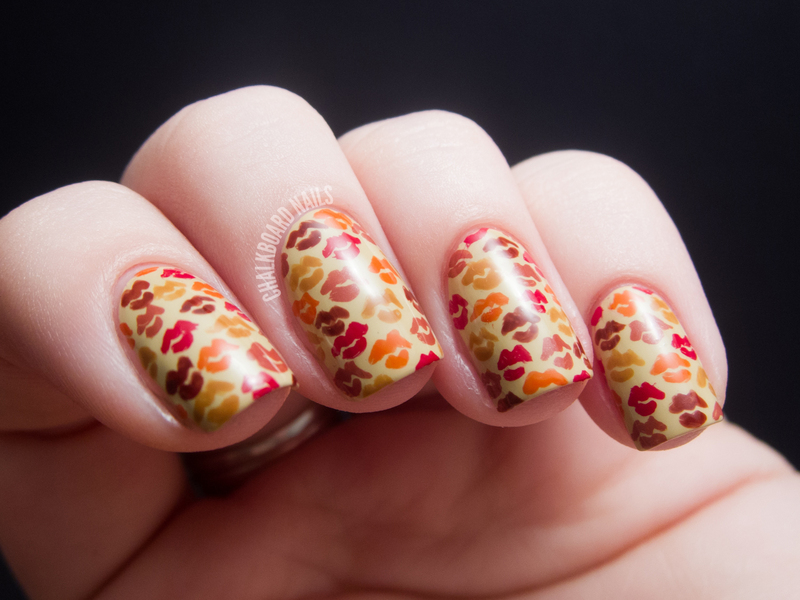 Kalahari Kiss is one of my current faves- I have a slight obsession with lip and kiss prints so this is awesome! Whoa, this is totally awesome. I love it! It's super cute. This is SO CUTE. I'm dying to get my hands on Kalahari Kiss. I have such a love affair with full nail patterns too! I don't do them often but every time I do I wonder why I don't do them more. Beautiful! Such a great pattern! omg omg omg i love this! it is AMAZING! it is so adorable and i absolutely LOVE the fall colors! Wow, that must have taken forever, but it was definitely worth it. It looks great! Awesome color and pattern as always, perfection! Amazingly awesome!! I LOVE this so much!! You are SO amazingly talented!! 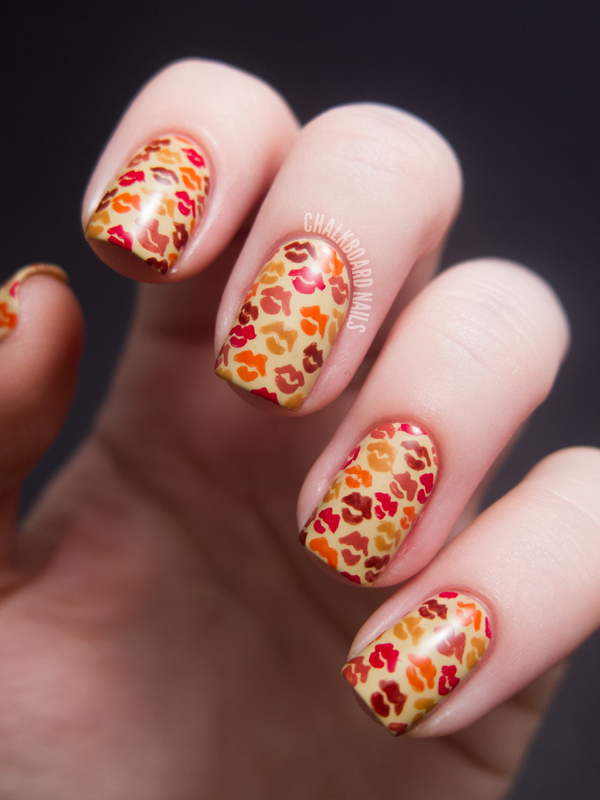 What an awesome mani :) *LOVE*!! !